Hello my lovelies! I must admit that I was very bummed out by the fact that it's Monday today. I feel tired even though I didn't do much all weekend. The fact that I survived work makes me feel better though and showing you a brand new blue manicure makes me actually happy. I've worn these nails for most of last week so I can tell you they were very much enjoyed. Now it's time for you to enjoy them too. Here we go! 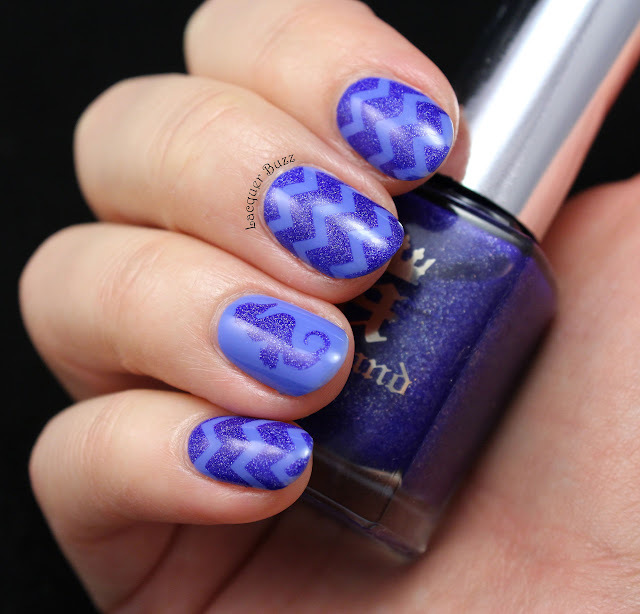 The inspiration for this manicure came from my chevron nail vinyls that I had only used once before and the animal shaped vinyls that I hadn't used at all. I decided to use them both in a manicure even though I'm not very used to having an accent nail. I also wanted to use A-england Spirit of the Moors again because it's just gorgeous. I'm really happy with the final result. I started with two coats of p2 Crazy Beauty from the Volume Gloss collection. 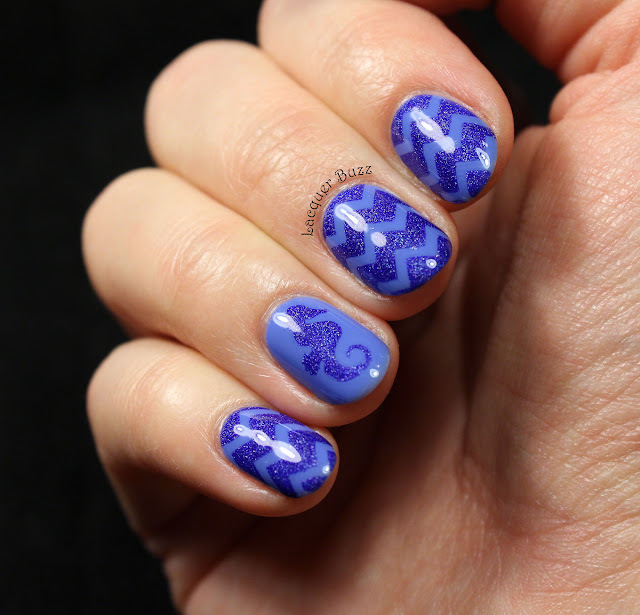 I used a coat of Seche Vite and waited about 20-30 minutes for it to dry. 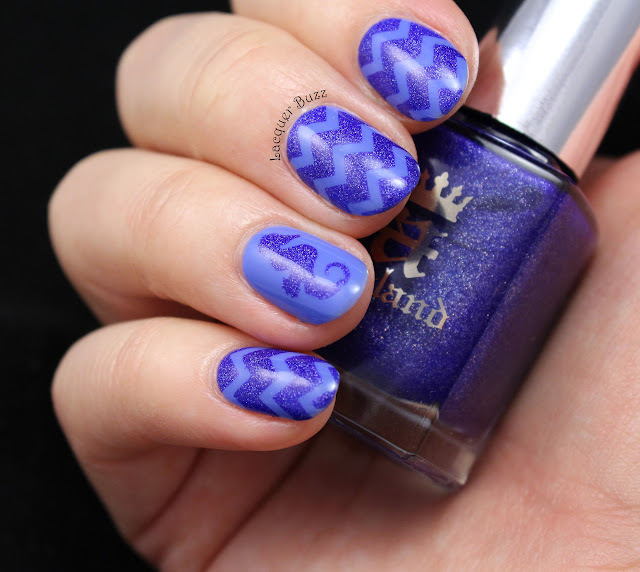 I then used the vinyls and Spirit of the Moors to paint the chevrons and the seahorse on the accent nail. I finished everything with another coat of Seche Vite. Here's a shot in direct light. 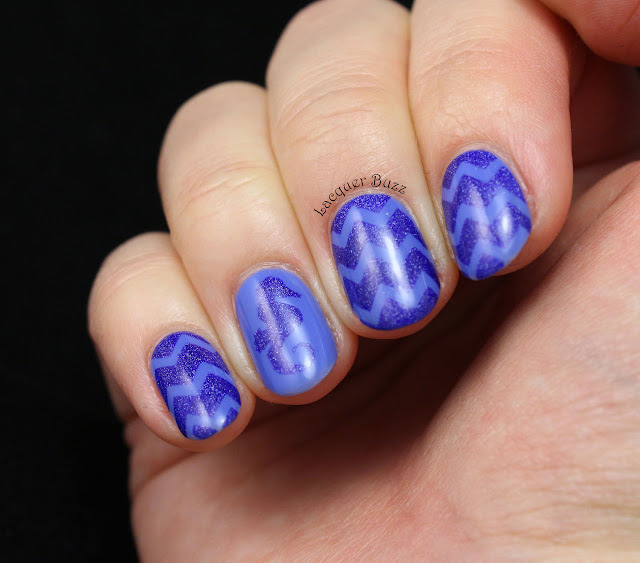 This manicure totally reminds me of the sea. The colors and the seahorse make me long for summer. Let me know what you think and don't forget to check out the rest of the Monday Blues of January in the links below!